Dr. Isadora offers a new video on how to care for each in your Red Tent. Click here to watch the video on YouTube or click the image below to watch it on our Blog. March 2014 was a month of expansion for the Red Tent movie: Things We Don’t Talk About. Isadora, the filmmaker, attended three screenings during the middle two weeks of the month, from which she gathered inspiration to think bigger and more broadly about the unique role the movie can play in growing the Red Tent movement. On March 9th, she visited Prescott, Arizona, for a screening held on the campus of Prescott College. Prescott is a small city in northern Arizona that nevertheless boasts a strong women’s community. The screening was organized by Rosalie, a student at the College who is in the midst of an independent study on menstrual customs and traditions. When she discovered the Red Tent movie, she invited Isadora to come to campus for a screening. Originally intended only for members of Rosalie’s class, the event expanded to include local community members as well. The film screening and following Red Tent took place in a multipurpose auditorium with removable folding chairs, which quickly filled with about 30 women, a mixture of students and community members. Each woman, on her way in, had passed through a Red Tent entrance affixed to the exterior of the brick building, marking the portal to intentional space. The event, according to Isadora, was a lot of fun. The veil dancing ritual that originated in Escondido, California, was offered to this group as well, the largest group it had yet been offered to. Women in groups of 10 or 12 took turns dancing around the two women lying in the center, offering their energy playfully and joyfully along with the floating, waving fabric they held. When the event was over, women didn’t want to leave. Two new Red Tents were birthed to help hold and strengthen the expanding streams of energy: one that will be hosted by a woman who lives in nearby Sedona, and one that will continue meeting at the College, hosted by Rosalie. Isadora’s next stop was Henderson, Nevada, on March 14th, for a screening held in a private home for members of Carpa Roja Templo Las Vegas, a Latina Red Tent group. Most of the members of this group speak only Spanish. This was Isadora’s first time attending a screening where the movie was shown with Spanish subtitles. Nelly, the group leader, who had been inspired to start this group after attending another Red Tent in Las Vegas, was the host. Most striking about this screening, which was attended by 10-15 women, were the connections that were made even across language barriers. The movie was well-received. The idea of the Red Tent seemed to make perfect sense to the women present, even though in many ways they live in a culture different from that of the women they were watching on-screen. It’s said that the Red Tent doesn’t discriminate: the only thing you need to enter is to be a woman. For Isadora, this was a powerful experience of the truth of that statement. For the first time, she saw personally the instrumentality of the film in carrying this truth to diverse communities. Things We Don’t Talk About makes concrete the accessible and universal qualities of the Red Tent. A Q& A session followed the screening, during which Nelly served as translator for Isadora. A 12-year-old girl who spoke only Spanish was present. Isadora gifted her a hair flower from the for-sale table and, despite the girl’s shyness, took the time to honor her in front of the group, for her presence as a young person carrying the future of the community. What might this girl grow up to do or to be, having known from an early age the power of women’s community? Questions like these are part of the life’s work of Monica, another woman who was present at the gathering. 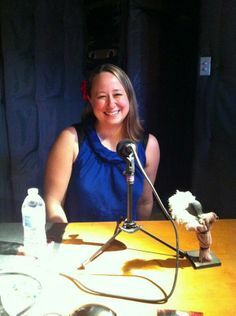 She is the host of a Spanish-language radio show, Mujeres Conscientes (“Conscious Women”), which focuses on women’s empowerment. She works in the local community to empower young Latinas and Latinos, as a way of beginning to heal long-standing societal wounds. Inspired by the film, and wanting to use it in her work, she invited Isadora to speak on her radio show a few days after the screening. 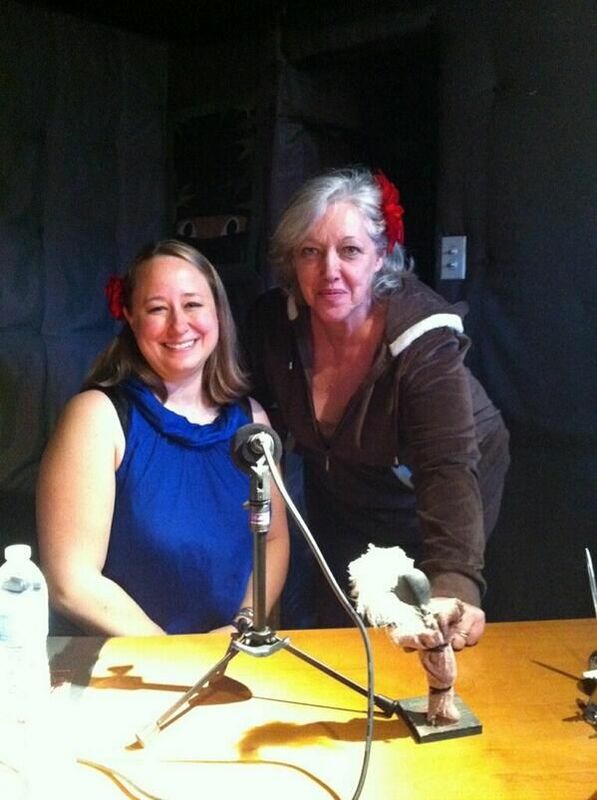 Isadora, her words translated into Spanish by Monica’s daughter, Andrea, spoke on-air about the Red Tent movement. The message perhaps reached many who had never heard it before, carrying the welcome of being delivered in their native language. Coming soon: Red Tent TV! This new project will feature short videos, less than a minute long each, containing never-before-seen footage from the filming of Things We Don’t Talk About. Why should the 399 hours of film that didn’t make it into the finished movie go to waste? 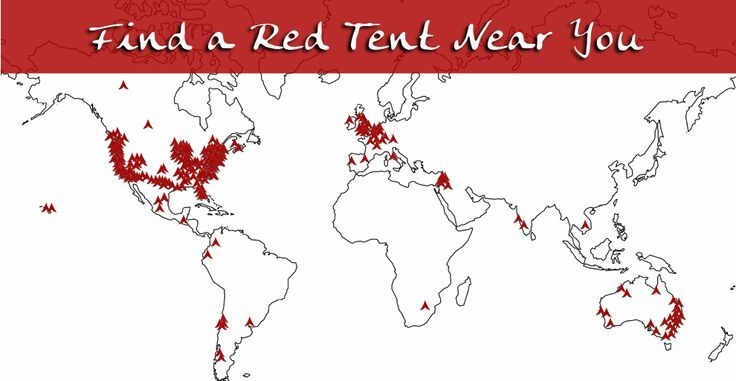 This weekly outreach will keep Red Tent consciousness fresh in the minds and hearts of women (and men), perhaps to inspire new Red Tents to be born in communities all over the world. The movement continues to expand, gathering energy with each word spoken, each Red Tent begun, each woman heard. More than large enough to embrace all our diversity, may it be a place where world becomes home and home becomes world.